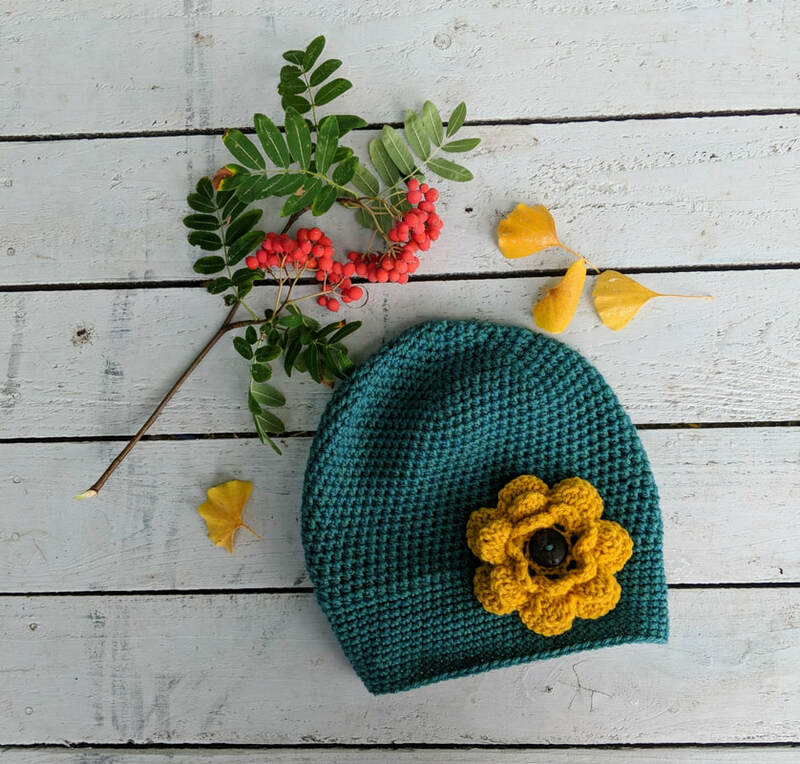 Crochet hat pattern in worsted weight. Sized newborn to men's large. Just in time for Valentine's Day, warm the hands and heart of your love with a cozy for their mug! Tapered shape fits reusable and disposable to-go cups. Great stash buster! Keep their beverage and their hands warm. Click the image to find it on Ravelry! Great pattern that fits a Sony e-reader like a glove! 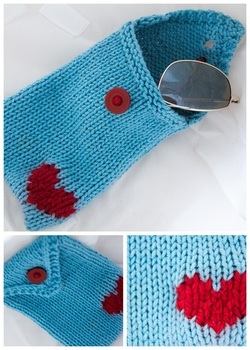 Uses Judy's magic cast on to make the ultimate seamless, bottom up, sweater for your gadget! 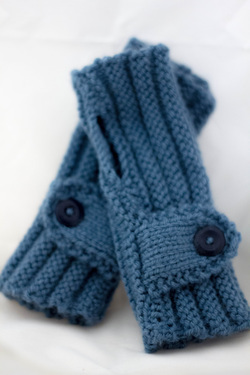 These wrist warmers were designed with the newbie in mind, ie. the student. 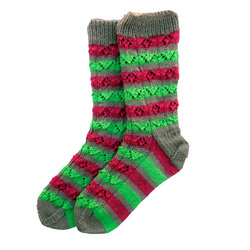 They are a very simple knit and all techniques used can be found online in tutorials (a quick google search will get you what you need). 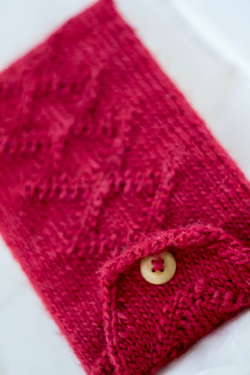 You will learn to cast on, knit, purl, bind off, decrease (left and right leaning and centre) and a yarn over button hole. Provided in the pattern is a graphic organizer to help you keep track of your repeats and is set up with full instructions to start and gradually into knitting abbreviations helping you to learn to read a pattern. We hope you enjoy your first project! Happy Knitting! This headband is designed to be functional. Wear it to tame fly aways or on a brisk morning walk. 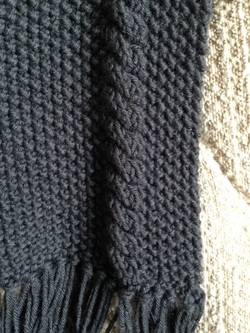 We have the beginner knitter in mind with rows of garter working up to stockinette with edging. Perfect to learn the basic knitting techniques.